Let's hear it for M.C. Handel! This time he's going to the extreme with Extreme Recorders. This fabulous collection brings together five delightful and unique recorder songs that make learning to play the recorder a fun and exciting experience. Each song features a rhythmically simple recorder part using only a limited number of notes. The specially recorded Performance/Accompaniment tracks contain incredible orchestrations and arrangements that highlight various styles of music. Your recorder repertoire isn't complete without M.C. Handel's distinctive arrangements and compositions. 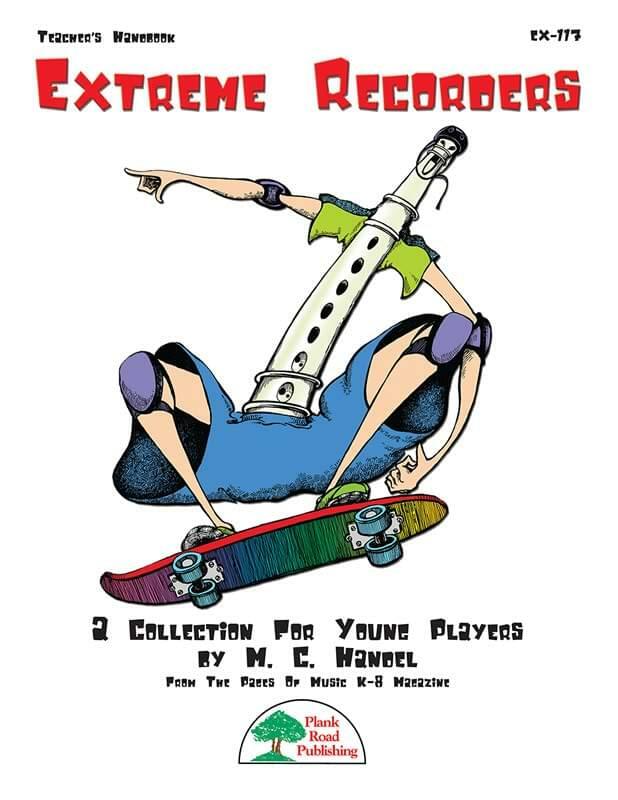 Be sure to add Extreme Recorders to your collection today! JitterBAG - The first piece in this collection focuses on the notes B, A, and G. An excellent choice for the beginning recorder player. The lively swing style is reminiscent of the jitterbug dance tunes from the 1930s and '40s. The fantastic big band arrangement and orchestration by Paul Jennings will have your students tapping their feet in no time. Rahther Jolly Olde St. Nicholas - Just when you think you've heard every possible version of this classic American Christmas tune, our friend M.C. Handel concocts a new arrangement that allows your beginning recorder players to sing and play along with the accompaniment of a lovely orchestra of strings, brass and percussion. The melody uses the notes D, E, G, A, and B.
Leonardo's Lightship - In the title and style we wanted to achieve a song that was a nice combination of older acoustic sounds and newer ethereal sounds. Real strings and brass add depth to the recording and the great feeling that your players are surrounded by a real studio orchestra as they play G, A, B, and D.
Saturday Night Star - Move over John Travolta! There's a new "star" in town. Disco makes yet another comeback to the tune of "Twinkle, Twinkle, Little Star." The piece is written in the key of C. It begins with a building introduction that is also a nice little warm-up for your players on the notes G, A, and F. It's fully orchestrated with period guitars, drums, and a big string section and full brass. As the piece progresses, the brass add a countermelody full of fun-loving disco clichés. e-Lectricity - The final song in this collection throws a bit of a challenge at your students by focusing on high E. The electric rock beat should help inspire them. They will also need to recall the fingerings for B, A, G, and D, so it is a good review as well.